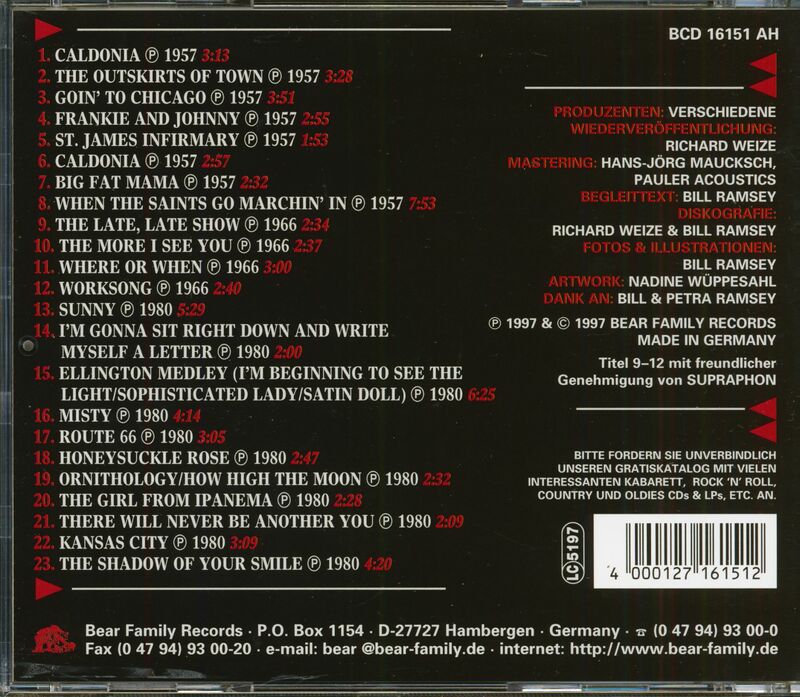 1-CD with 28-page booklet, 23 single titles. Playing time approx. 79 minutes. 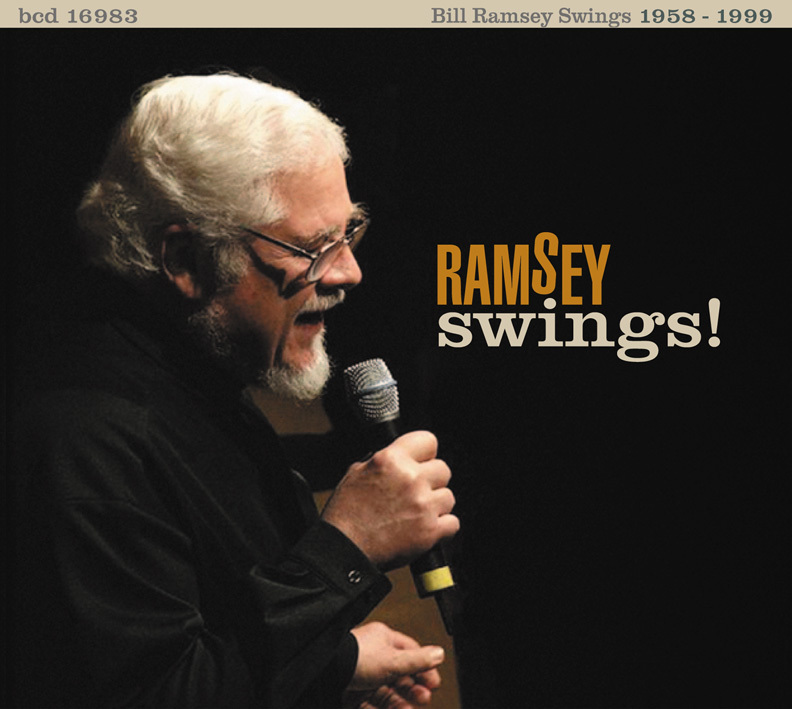 This is Bill Ramsey - live! We begin with three recordings made in Holland in July 1957, five recordings from the Polish Jazz Festival in July 1957 and four tracks recorded during the Prague Festival in 1966 and finally a concert from the'Unterhaus' in Mainz 1980, including eternal Ramsey favourites like The Late Late Show, The Outskirts Of Town and Caldonia. Saturday, July 13, 1957: In the morning we picked up our visas from the Polish military mission, in the afternoon we took off, all our luggage including double bass and complete drums under the arms, from Zoo station towards the central station (former Silesian station), closely controlled by harassing and threatening (stupid) GDR-Vopos. Finally we went with the Reichsbahn - the windows not only closed but to make matters worse - past several invisible stops to Frankfurt an der Oder. We were the Joki Freund Quintet - Joki Freund (tenor sax), Albert Mangelsdorff (trombone), Emil Mangelsdorff (alto sax), Rudi Sehring (drums) and Al King (bass) - plus star guest Albert Nicholas (clarinet) and Ata Berk, the drummer of the'Two Beat Stompers' from Frankfurt, plus my then wife manager Nancy and I plus three companions from the German Jazz Federation, namely President Olaf Hudtwalcker, secretary Wolfgang 'Bart' Böhm and Poland speaker Werner Wunderlich. A little anecdote in between: The famous clarinettist Albert Nicholas from New Orleans, respectively Paris was a guest star. Of course, he, poor Albert, who only spoke English and French, had not noticed that the friendly officers of the GDR had forbidden us to get out somewhere on the way or to pull up the roller shutters, even if only to admire the landscape. So he got off at some station on the way to get some fresh air, The next thing we saw was Albert wriggling between two big vopos and shouting again and again: "Hey man, I'm an american, what are you doin', man..." Fortunately, however, his namesake Albert Mangelsdorff somehow managed to free him. The frightened Nicholas growled angrily afterwards: "Hey man, you know I think those guys are communists!" By the way - Albert Nicholas' first statement about Poland sounded like this: "Yeah man, that's where they drink vodka before breakfast." Whomn I think of Bill Ramsey, there's a smile on my face. I wouldn't know of a singer I enjoyed more as a child than'Uncle Bill'. I can't think of anyone who, as a steppke and teenager, could have brought me closer to more standards of jazz, blues and folk in no time than him. No one else had his television presence, his anarchic humor and his swing instinct. Not to mention the fact that nobody except him sang a real Hank Ballard number in one of the typical music film comedies of the Adenauer era: Let's Go Let's Go Let's Go Let's Go! 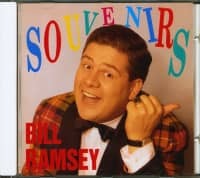 When you saw Bill Ramsey, the TV presenter, the actor, the all-round comedian, friend of children and of course Bill Ramsey, the singer, on TV in the 60s, 70s and 80s, you couldn't help but think him a happy artist. In addition to his hits from the late 50s and early 60s, he regularly had the opportunity to present his first and greatest love, jazz, on screen. Blues, folk and country didn't miss out either. His Girl From Ipanema with host Paul Kuhn at the Hammond organ in'Paul's Party' remains unforgotten - back when the television was still black and white and the screen could still be smoked with relish. For the legendary'man on the street', Bill Ramsey was naturally a wool-dyed jazz man who had temporarily become a hitter to the whims of career and fate. There was nothing in the eyes of the occasional jazz audience that could have been disreputable about Bill's double career. On the contrary: Especially these'Jazzleute' (elastic, but always positively meant term) made the best hits. They knew about Bill just as they knew about Hazy Osterwald, Bibi Johns, Greetje Kauffeld or Caterina Valente. And wasn't that the real American scam anyway? Were Frank Sinatra, Peggy Lee, Mel Tormé and Al Hibbler, BillyEckstine, Ray Charles, Ella Fitzgerald and Sarah Vaughan not also swinging top performers, who became conspicuous again and again with commercially invested songs without really making enemies themselves with it? 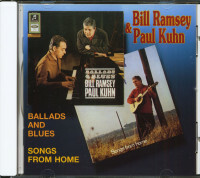 Wasn't Bill Ramsey the jazziest of them all? So what was the problem? His fellow musicians from Frankfurt'Domicile du Jazz' rejoiced with him about his triumphs as a pop singer. Big band musicians, even top jazz orchestras, liked to play on his records. They knew from their own experience that a professional musician also needs bread music for art music. But the eternal jazz police could not understand him. Just as his musical colleagues usually congratulated him on his last hit after a jazz jam session over a relaxing beer, so did the top-nosed high priests of pure teaching, the aesthetic-philosophical jazz romanticists trained on their own genius and the editors of better arts pages and late night cultural radio (who, of course, are permanently employed in crisis-proof positions). The jazz policemen, usually unable to hear an eight-bar solo without falling into hours of discourse about how Lennie Tristano would have played it, did not like to practice in tolerance for an absolute professional, who NEVER lost sight of jazz besides his activity as an entertainer, and - very important! whose jazz always hit the public at large, if it got to hear him. But this did not interest the ubiquitous'Jazz Pope' from Baden Baden nor many other scribents of monthly appearing jazz cashiers who fall for every impostor. To say it with the (sometimes too lightly underestimated) orchestra chief Guy Lombardo: "Nobody likes us but the people." Some editors, producers and arrangers didn't want to play this stupid game. 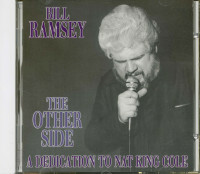 They believed in Bill Ramsey as a jazz interpreter at least as much as they appreciated Bill Ramsey as a grandmaster among pop humorists. They knew him from his legendary appearance at the German Jazz Festival in Frankfurt in 1957, from tours with jazz programs in several countries of Western and Eastern Europe. They had brought jazz classics to the stage with him and experimented with jazz arrangements for current pop hits. They loved the musical work with Bill. 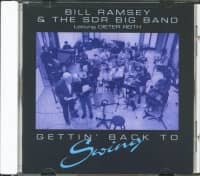 Over the decades, as already indicated, radio (occasionally also television) productions with great big bands and combos, with wide-screen orchestras, top soloists and top-quality processed material have been produced. The arrangers were all masters of their profession, including Dieter Reith, Rob Pronk, Paul Kuhn, Peter Herbolzheimer, Dave Hildinger, Jürgen Franke, Joki Freund and many others (see title list) - and they repeatedly pulled out some extra stops for their Bill. The same applies to the big bands, e.g. Kurt Edelhagen (WDR), Erwin Lehn (SDR), Paul Kuhn (SFB), Dieter Glawischnig (NDR), Rolf-Hans Müller (SWF Baden Baden), HR, Radio Zürich etc. (see title list).Every single one of the recordings gathered here from the years 1958 to 1999 (yes, correctly read: music from forty-one years!) is a single song of praise for a great musical communicator - a homage to an expert to whom the complete field of tension between spiritual and swing, between blues and bossa nova, between boogie and ballads typical of the time was the most natural place for his musical self-expression and, yes, still is. Because he is still there, still active and still a perfect ambassador for the great songs of his American homeland. And of course he remains the best singer who has ever appeared on television with a rotating propeller fly. Because Mr. William McCreery Ramsey from Cincinnati, Ohio, remains unique and unrivalled. Customer evaluation for "Caldonia And More..."